Good food comes from healthy balanced soils and our job at Fertilizer New Zealand is to give you good solid advice on how to achieve and maintain those healthy soils. When everything that a plant needs is contained within the soil in the correct ratios, the plants will grow in a healthier way and often with limited pests and diseases. Getting the ratios correct is the key to having the plants flourish without too much more intervention. I have talked often about the soil life and that the microbes make their home in the organic matter and soil carbon. There are millions of microscopic living beings and fungi, along with the larger organisms such as worms. These are signs of good healthy soil. Their work within the soil varies on what species of microbe or fungi that we are talking about. There are some, for example, which break down dead and decaying matter and take it down to care for the plant root system. If that soil biology is not present then we have products to which we add the microbes and spread them along with our fertiliser to bring the soil back to life. You cannot see them with the naked eye but you can be sure to see the benefits of what they do. ‘Sustainability’ is the new word of the moment and it is what Fertilizer New Zealand is all about and always has been. We think that it is encouraging to see the mainstream media and farming commentators catching up with us at last. In today’s world of very discerning customers shopping at the supermarkets and Green grocer, they are wanting the best they can buy. That means if the food item is not from sustainable producers it may not fetch a premium price. Consumers and many in the food industry are concerned that the food they prepare and consume is grown in a way that takes care of our planet. Anything else will often fetch a lower price. It concerns me when I see the increasing intolerance developing between food producers and consumers in our own country; this will not help. We want the same outcomes of top quality food and an environment that lives up to our tourism advertisements. We used to think that was easy to achieve but experience has shown us that it is harder than we had at first supposed. The problems that we are experiencing right now only prove one thing and that is our wonderful planet is more complicated than we often gave it credit for. Perhaps we overcooked things a little bit and we have to reconsider some of the side effects of our success. I and my team have been looking at that problem for some time now and we believe that we can fix the problems of sustainability and leaching nutrients by adopting some very simple and inexpensive changes. ‘Change’ is the operative word, because change we must and that is where we at Fertilizer New Zealand can help with the right advice and a tailored range of products designed to solve exactly these problems that we all face. If you look at the back of our business cards you will see our three key goals that we what to achieve on our customer’s land. These have been our goals since 2010. 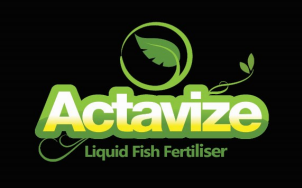 Keeping the nutrient tank maintained but not over flowing: We often don’t recommend the fertiliser rates that others may recommend. The nutrient tank will vary between soil types and this will give us a good indication as to how much fertiliser soils will hold. Adding more fertiliser of any type will be wasted if the soil is at capacity. This is very much like putting 1.5 litres into a 1 litre container. The container will be full when it reaches the 1 litre mark; everything else will over flow. Reviving soil health: Often the soils have a good amount of nutrients. It is either the ratio of the nutrients in the soil which is out of alignment or the soil life is depleted. After all, farmers replace NPK fertiliser and the like but seldom give thought to the delivery mechanism which is needed to turn water soluble acid-based fertiliser into plant-available nutrients. This is where our VitaLife range of products work so well as this product contains some of the most productive microbes which are so vital to our soils. In the seven years that we have had these goals, we have worked with farmers to achieve this target. In today’s economic climate when it is all about getting the cheapest fertiliser product, we can go wide of the goals we are trying to achieve. If we go cheap, the customer gets what they pay for. Cheap is not always best. Our products are value-for-money and will lead to better production and a better bottom line at the end of the financial year. There are always other aspects to fertiliser applications, such as soil health and animal health. Take these aspects into consideration and the cheap stuff can become expensive. In summary, I got the following from a soil scientist and I cannot recall his name but I did ask him at the time if I could use it and he kindly agreed. Give us a call if you want to know more about this quote, there is a lot to it.